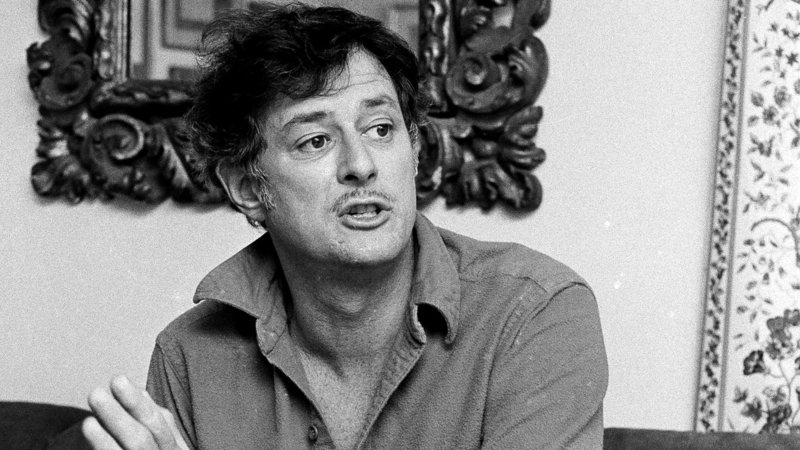 Frank Deford, NPR's Longtime Philosopher Of Sports, Dies At 78 : The Two-Way The sportswriter was a mainstay on Morning Edition for 37 years, applying his keen wit and incisive eye to games of every stripe. Deford died Sunday, just weeks after hanging up his cleats with NPR. Frank Deford in 1984. He would go on to spend another 33 years as a commentator on Morning Edition. Through nearly four decades, at least five presidential administrations and seemingly countless Super Bowls and World Series, NPR listeners could depend on at least one thing in the ever-unpredictable world of athletics: Frank Deford. A mainstay on Morning Edition, the Hall of Fame sportswriter was public radio's scholar of sports for some 37 years before hanging up his cleats earlier this year. Deford died Sunday at the age of 78 at his home in Key West, Fla., his wife confirmed to NPR. He leaves behind an astonishing 1,656 commentaries for NPR. 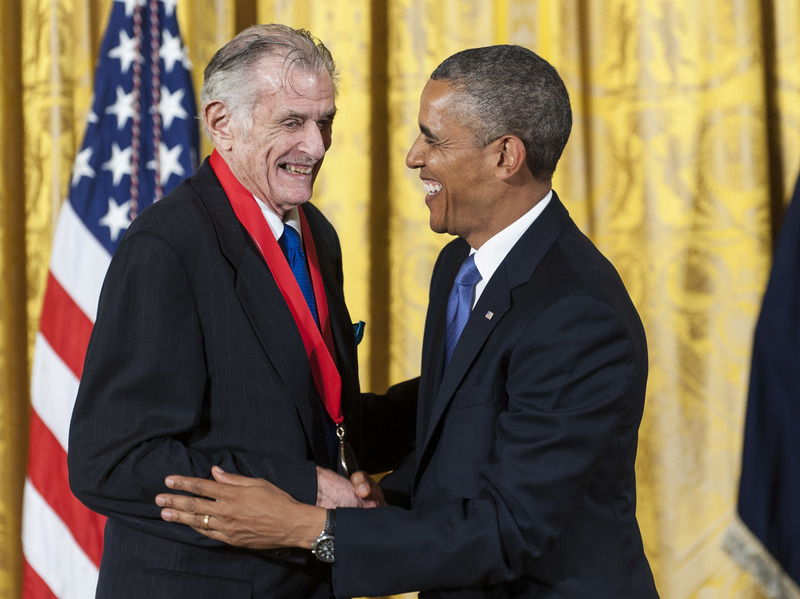 "We are saddened to hear that Frank Deford has passed away," NPR President and CEO Jarl Mohn said in a statement Monday. "Since 1980, Frank voiced sports commentary for NPR, leaving us 1,656 of his signature insights into the world of sports and the human stories behind athletic triumphs. He was a beloved colleague and a signature voice of public radio." Upon his retirement earlier this year, Deford himself expressed gratitude for this longstanding relationship with listeners. "The wonderful thing about delivering sports commentary on NPR was that because it has such a broad audience, I was able to reach people who otherwise had little or no interest in sport — especially as an important part of our human culture," Deford said at the time. "Nothing made me happier than to hear from literally hundreds of listeners who would tell me how much the commentaries revealed about a subject they otherwise had never cared much for. I'll forever be grateful to NPR that they gave me such extraordinary freedom. ... It was 37 years of a fond relationship." As NPR's Tom Goldman notes, that relationship didn't exactly begin as a long-term commitment. In fact, at the time he was recruited by a Morning Edition that was still in its infancy, Deford hadn't expected to contribute his commentaries for more than a few months. After all, back in 1979, Deford was already one of the star writers at Sports Illustrated, having already been with the magazine for about a decade and a half. He was an accomplished sportswriter, producing pieces that would ultimately earn him the honor of U.S. Sportswriter of the year six times, according to SI. He had nothing to prove. Still, he embraced the opportunity. "I am something of a ham," he told Tom earlier this month. "Yeah, I'd always been a writer. But in high school I acted in plays. So it wasn't as if you had to drag the words out of my vocal chords." And so what began as a brief gig in 1980 became a deep and lasting relationship with NPR's listeners. Each week, he would voice opinions both creative and controversial, references to Shakespeare and scathing takedowns — not just of commissioners but even occasionally entire sports, as some ice hockey and soccer fans may still remind you. President Obama presents the National Humanities Medal to Frank Deford at the White House in 2013. His body of work on NPR — as well as in Sports Illustrated, HBO's Real Sports with Bryant Gumbel and 20 books of his own — earned him not just listeners' loyalty but his profession's and the nation's highest honors, too: an induction into the National Sports Media Association Hall of Fame in 1998, and a National Humanities Medal in 2013. He was the first sportswriter to win that medal. "A dedicated writer and storyteller, Mr. Deford has offered a consistent, compelling voice in print and on radio, reaching beyond scores and statistics to reveal the humanity woven into the games we love," President Barack Obama said of Deford in a statement at the time. All the while, Deford remained an evangelist for the games he loved — and for the crucial role they continue to play in our lives. "This is part of your life — it's the second tier," he told Tom. "The first tier is eating, drinking and procreation. The second tier is religion, the spirit, music, art and the physical. Sports. It deserves to have as much attention paid to it, seriously."